Simon re-joined Edmondson Hall in March 2017 as a Partner and Head of Family Law. 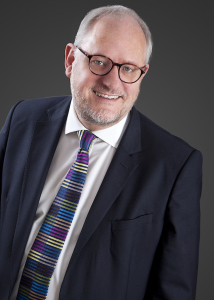 Simon has over 30 years’ experience representing clients in matrimonial litigation involving financial and property claims upon relationship breakdown, particularly in business and professional families and in issues relating to Child Arrangements. His work includes substantial assets and complex issues such as trusts, pensions and family businesses and his client portfolio includes accountants, lawyers, farmers, medics, Company Directors, a CEO and a High-Profile dispute between cohabitees involving a property portfolio with a value of £20 Million. Simon takes the time to understand his client’s and their problems. He offers clear and pragmatic advice and is objective and constructive when helping clients to find solutions to the issues they face. Simon is a trained Mediator with a thriving Mediation practice and a member of Resolution. He regularly lectures on the benefits and process of mediation to members of the legal profession and other professionals. Away from work Simon is a passionate follower of football and rugby and enjoys cooking and spending time with family and friends. “In March of 2015, my marriage had broken down irretrievably and I decided to divorce my wife of thirteen years. I need not have worried, as my case was handed to Simon Gummer, who proved to be excellent in his service, advice and expertise. He was also very adept at managing me when issues started to pile-up and my perspective and rationality was more emotionally driven than objective. Mine was a highly complicated and convoluted case, involving loans from my parents to our family over the course of the marriage totalling over £100,000, four properties-one of which was purchased in Turkey, all combined with a total lack of trust of my previous spouse who seemed to challenge absolutely every aspect of the proceedings, proposals and arguments put forward in failed attempts to achieve resolution. Recently, proceedings were concluded and the judgment and order from the court saw my parents repaid their monies and a financial settlement which was considerably more favourable than I had expected.